The opening ceremony organizers displayed the wrong flag while announcing Nigeria on Thursday. 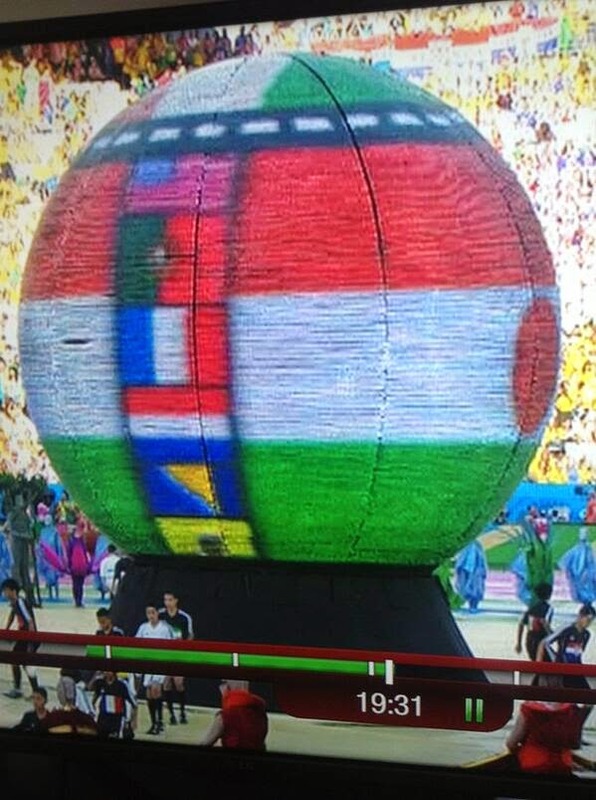 Instead of Nigeria's flag, it projected an image of Niger's flag onto the globe at midfield during the ceremony. Twitter user Cameron Laws pointed out the blunder. Nigeria's flag features three vertical stripes, with a white stripe sandwiched between two green stripes. Niger's flag features three horizontal stripes. The top stripe is orange, sitting above a white stripe and a green stripe. There is an orange circle in the middle of the white stripe. The neighboring African nations share a 450-mile border and maintain friendly relations. Nigeria is currently ranked No. 44 in FIFA rankings. Niger is ranked No. 112 and did not qualify for the World Cup. This isn't the first time the wrong flag has been displayed during a major sporting event. In the 2012 London Olympics, a women's soccer match between North Korea and Colombia was delayed because the organizers showed the South Korean flag while introducing the North Korean team, and the players refused to take the field.